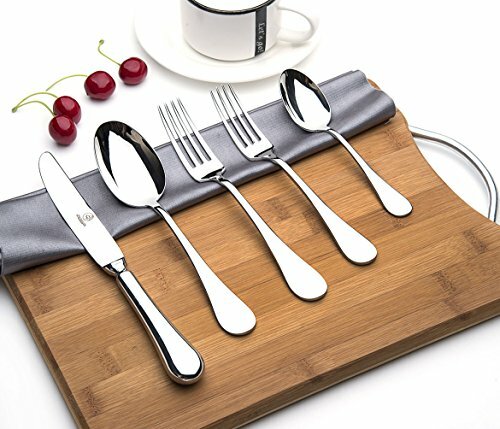 Size:5-Piece Size:5-Piece OTW PAVILION 5-piece Stainless Steel Silverware Setis a solid flatware set for someone who needs the basics, which has a proper thickness and weight to hold comfortably. It consists of 1 knife,1 table fork,1 salad fork,1 table spoon and 1 tea spoon. Perfect for daily use, family gathering, party, camper, restaurant, hotel, wedding and more. Also a great gift for your friend and families’ new apartment. Thank you for choosing OTW PAVILION.Wish you enjoy a HEALTHY & GREEN LIFE with our products.